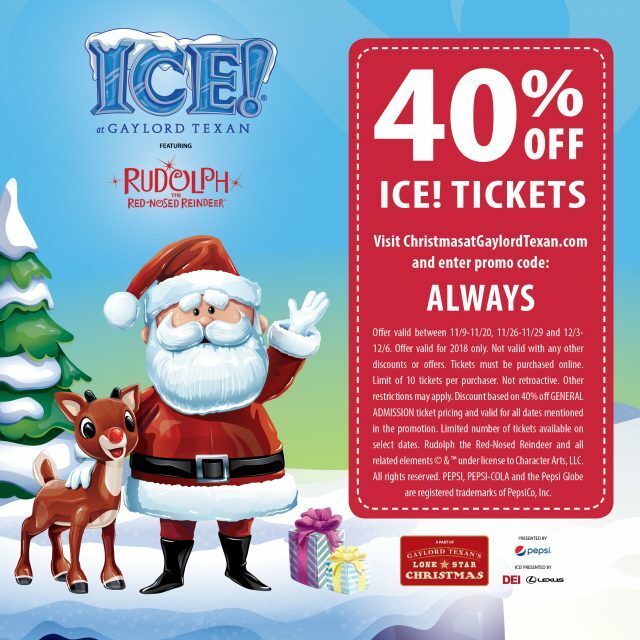 10 Reasons to Visit the Gaylord Texan at Christmas Time Plus 40% off Promo - ICE! 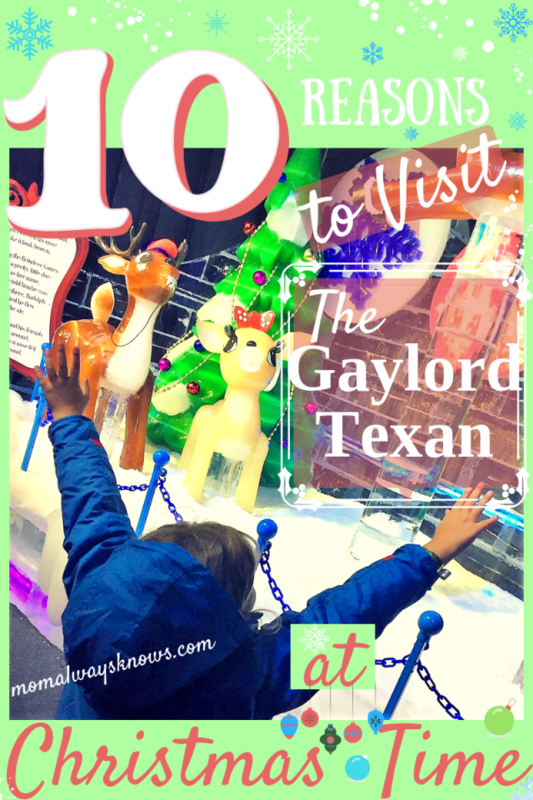 Thank you to the Gaylord Texan for having us out for the family blogger event to enjoy ICE! All opinions are 100% our own. The big man is in the house and ready to take pictures! Take the kids, grandma or your neighbor just make sure to be honest when you talk to him because remember he knows if you’ve been good or bad so be good for goodness sakes! 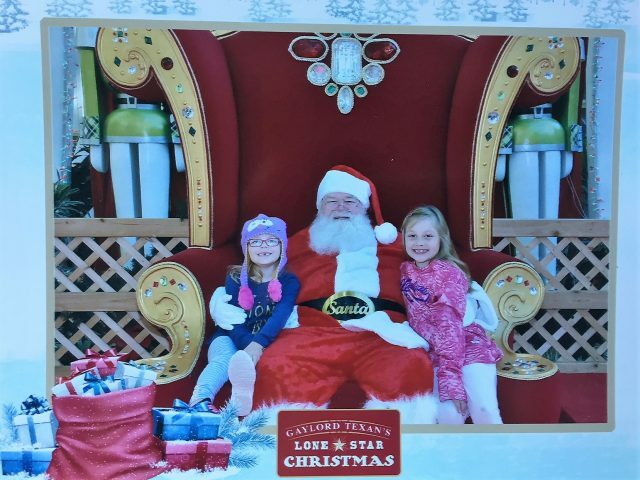 You will get to take your Santa pics with you and they offer a variety of fair priced packages. 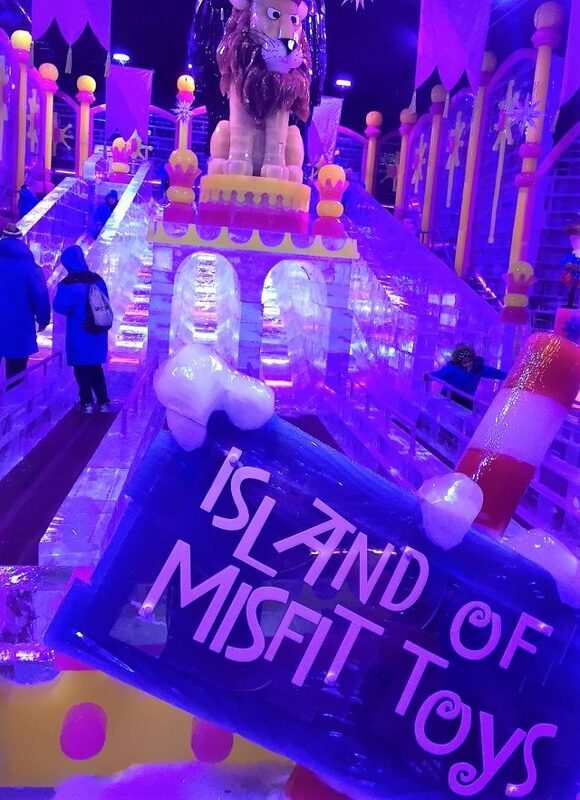 Every year a bigger and better theme for ICE! 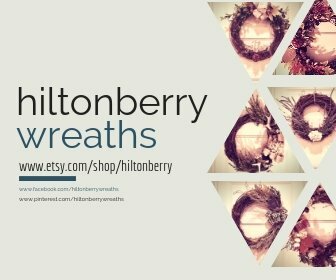 is created and this year it is Rudolph the Red-Nosed Reindeer and friends! 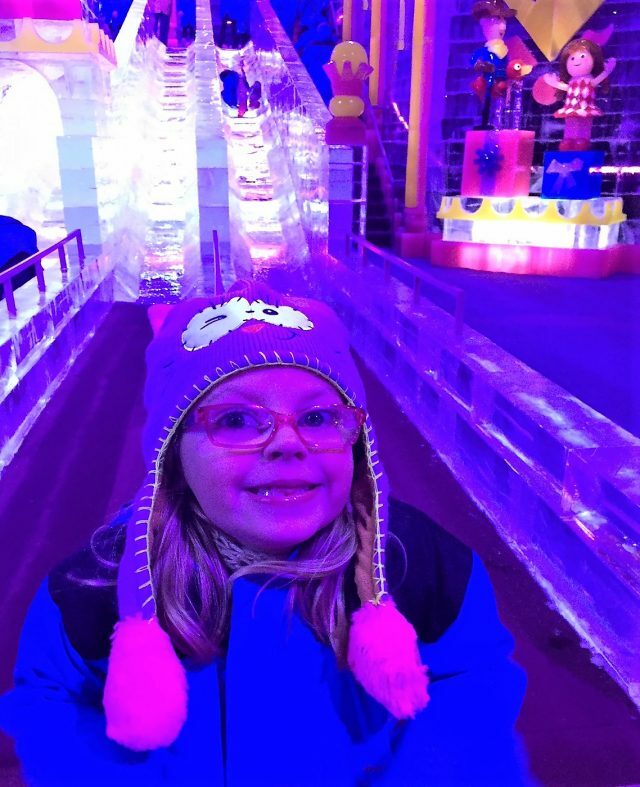 My family and I had so much fun touring all the colorful painted ice sculptures which weigh in at more than 2 million pounds of ice! 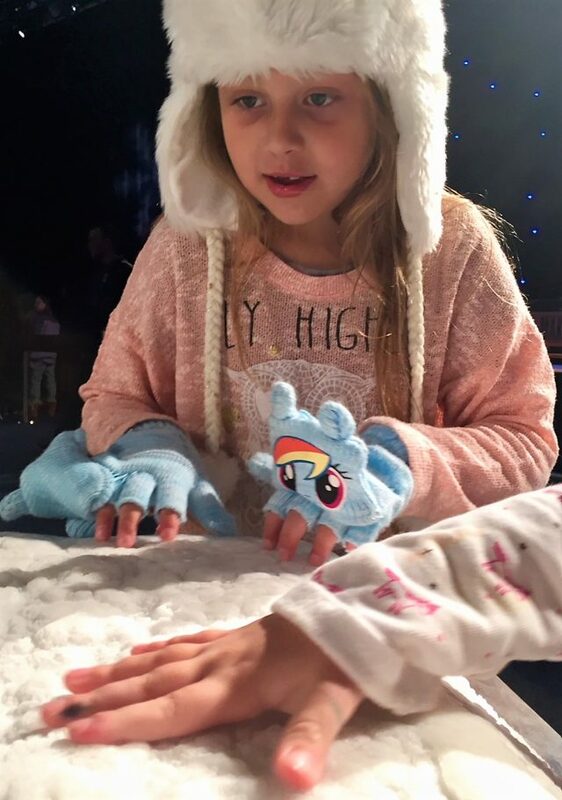 It is seriously 9 degrees and cold cold cold in the 14,000-square-foot exhibit hall so make sure everyone is dressed warmly, especially the kiddos. They do provide you a heavy parka but I suggest you also bring gloves, hats and scarfs. You don’t want anything (like the cold) interfering with the beauty as you stroll through the maze of ice. 40 ice sculptors from China come in and hand-carve ICE! into symbols of Christmas and well-known, holiday animated characters. You won’t see over one-and-a-half million twinkling lights, 12,000 ornaments, a 52-foot-tall rotating Christmas tree, and a life-sized gingerbread house anywhere else, I promise! Oh- the best part- the huge ice slides to ride down which is different than the snow tubing lanes I am about to tell y’all about! Do your kids like escape rooms? Well The Gaylord Texan has two of them open during their Lone Star Christmas celebration! 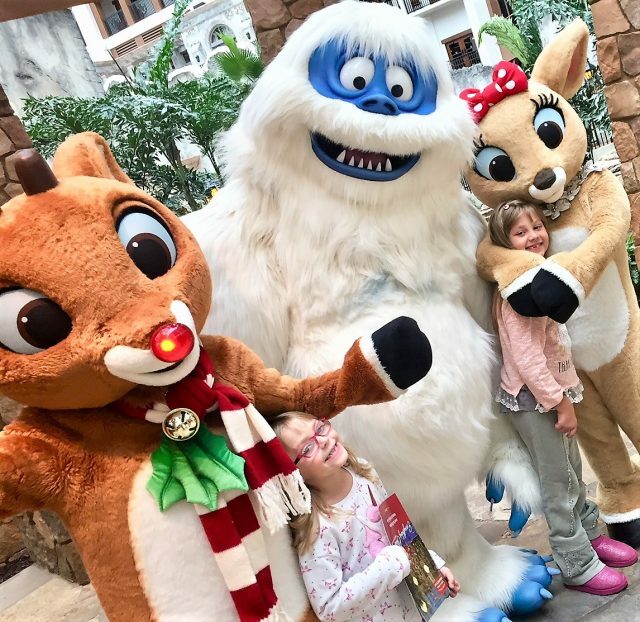 You can visit the Top Secret Elf Mission where you will assist Santa’s little helpers on a top-secret mission or you can try your luck to Escape the North Pole Embark to fulfill an important request made by Mrs.Claus herself! Right in the thick of things next to the real snow-covered tubing lane is a real life timeless Christmas carousel. Kids ages 4-11 can choose the horse of their dreams and buckle up for the ride! It is so pretty as it is all decorated for Christmas in Texas style! Yes I said it, something you don’t see every day in Texas, snow! Here is your chance to go snow tubing indoors and have some real fun! My kids could not get enough of the twelve-lane tubing hill covered in REAL SNOW! You can even ride double and if the lines aren’t too bad you’ll be able to go again and again! They go so fast it was hard to get a good picture of this one! 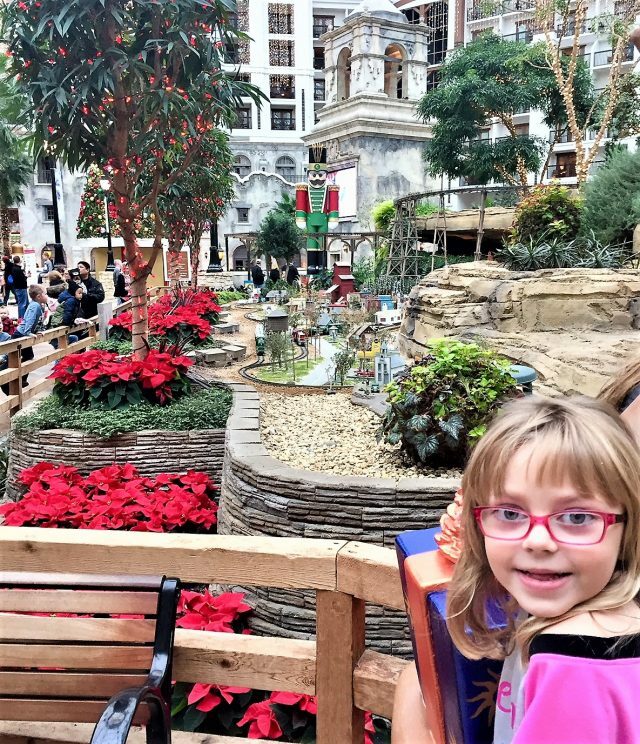 My kids love to make a mean gingerbread house but it is so messy so I was more than thrilled to find out that we could make a mess at the Gaylord instead of our house! Everyone will love, especially the kids, decorating tasty gingerbread cookie families, a traditional gingerbread house or a Snowmen Cookie kit. 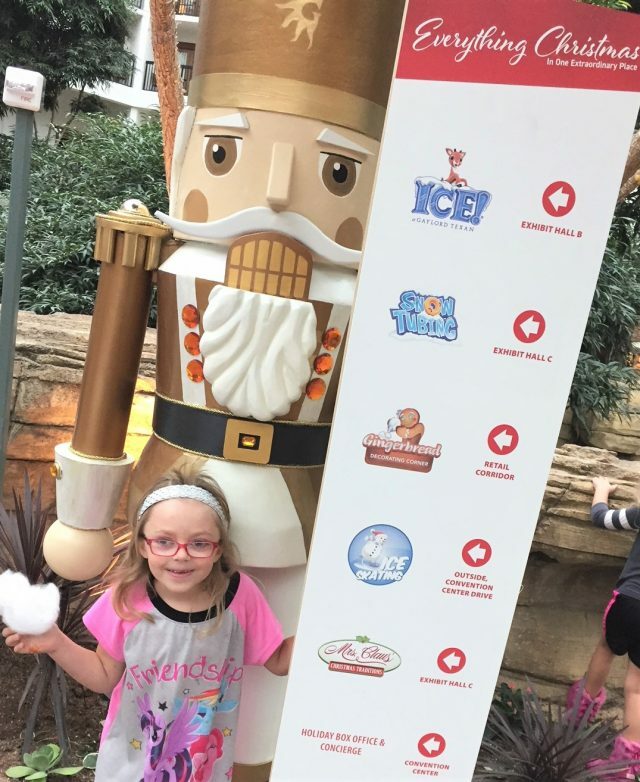 When you are done make sure to meet and get your picture taken with The Gingerbread Man and don’t forget to take your sugary yummy creations with you! 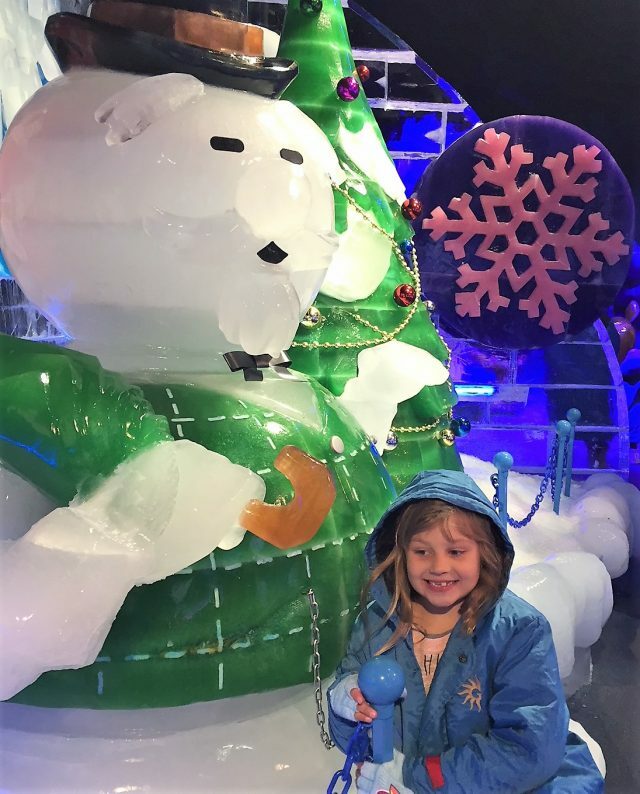 I was so happy that Gaylord Texan brought ice skating into their Christmas mix! You and your family can spend some quality time together on this 6,000-square-foot outdoor ice skating rink located in front of their convention center. Don’t worry if you can’t skate, they provide help and of course, your ice skates. 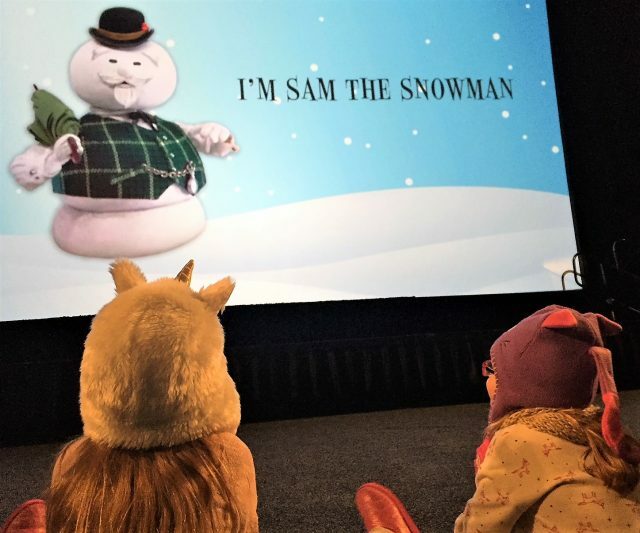 Head to Santa’s Snow Throw, grab a bucket of real snowballs for ten bucks, and aim for the targets created by Santa’s elves! Hey, it’s always fun to have a little target practice right? 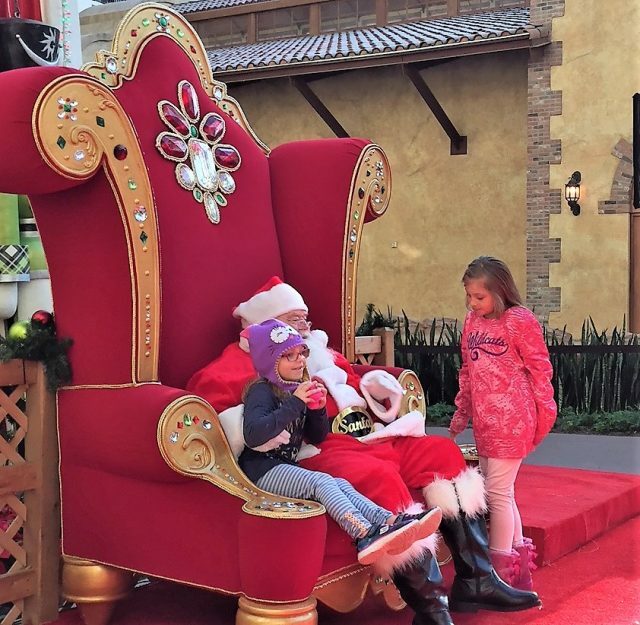 We saw Mrs. Claus talking to Santa a few times in the atrium but usually she is over by ICE! 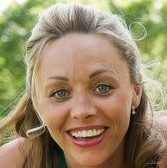 in Exhibit hall C. You can join her and her elves while she reads a Christmas book and even sings some Christmas carols. During this 30 minute show you even get to enjoy some of Mrs. Claus’ world-famous cookies and some cold milk. 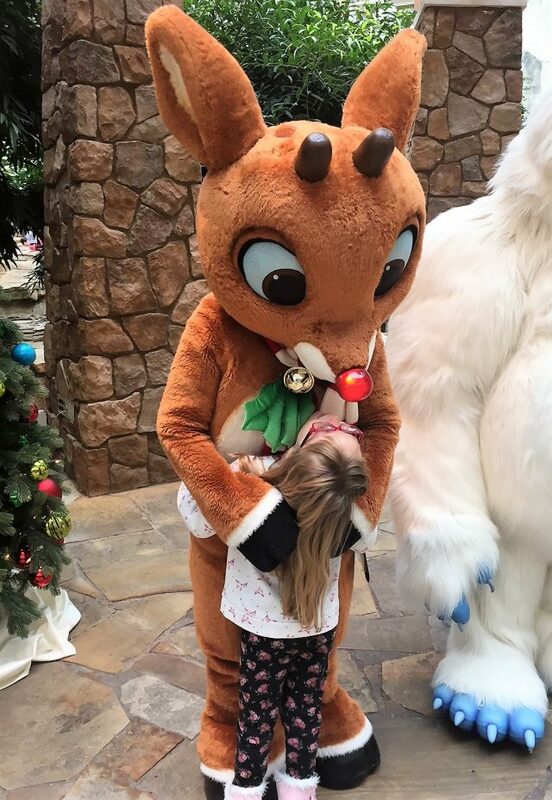 My kids love Scavenger hunts and had so much fun when we did the Papa Smurfs Search Party Scavenger Hunt for Summerfest at Gaylord Texan that they definitely wanted to do the Reindeer Games™ Scavenger Hunt featuring Rudolph and The Misfit Toys! When you check in the hotel you can head on over to the Concierge desk between 10am-8pm daily to pick up your map and then when done redeem your Scavenger Hunt Map at the ICE! Box office to pick up your prize! My kids love anything where they have a chance to earn a prize! I highly recommended even if you are local staying a couple of days so you won’t be rushed and can take in the full beauty of the 4.5 acre property with its 1.5 million holiday lights and full calendar of Lone Star Christmas events for everyone in your family to take in! They have a real fire burning at all times in the lobby, a magical miniature train sets and stilt walkers, singing cowboys, balloon artists and fun entertainment around every bend. Mom Always Knows readers can save 40% on ICE! tickets on select dates in November and December 2018. 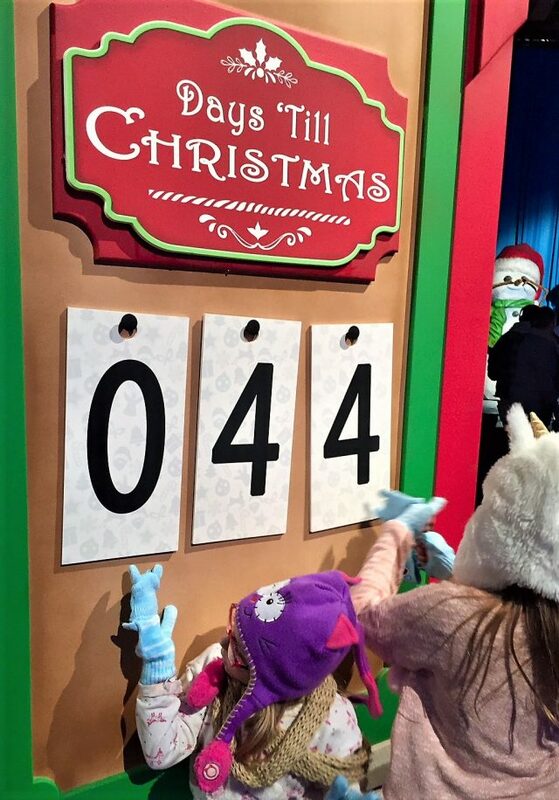 To purchase your tickets, visit ChristmasatGaylordTexan.com and enter the promo code ALWAYS. Want more information on Lone Star Christmas at Gaylord Texan Resort and Conference Center?